Are you looking for a store to buy both luxury and casual wears? Do you need branded clothes but find all of them unaffordable? 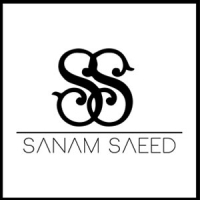 If so, then the Sanam Saeed collection available at Affordable.pk should be your choice. 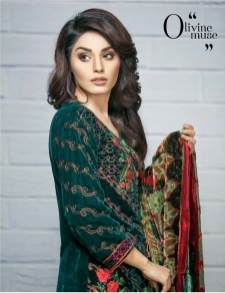 The collection has both the fancy and casual clothes that are available at lowered prices. All the clothes are original and are being sold directly from the store. The Sanam Saeed Eid collection has been a huge hit at Affordable.pk this year. Almost all the clothes were sold during Ramazan and the customers were highly satisfied. Due to the success of Eid collection, the brand launched its Sanam Saeed lawn collection 2017 in summers and it was again a huge hit. Since then, Sanam Saeed has become a regular brand at Affordable.pk and ladies are in awe of the available collection. The brand keeps bringing clothes according to the season; therefore, the recent collection includes casual linen clothes. Most of the linen clothes are three-piece unstitched and the prints are all catchy and vibrant according to the season. Therefore, dress in beautiful hues so that you may look stylish. However, always keep the style and color in mind that suit you. Not everything that looks great apparently looks good on you, so know your personality first and then do the buying. Since winters are here, it’s smart to wear bright colors as the sun isn’t shining too bright. The mood and atmosphere get slow during winters; therefore, dressing up in bright colors bring the lost energy back. This is the reason why the collection includes some vibrant and catchy colors. However, the bright colors do not suit some ladies no matter which season it is. Especially if you have got a dark complexion, then you shouldn’t be wearing colors like orange, sea blue, lemon yellow, etc. The Sanam Saeed collection has designs and colors for all the complexions and personalities, so buy ones that go with both your personality and the season. Apart from linen, the three-piece luxury chiffon clothes are also available in the recent collection. The clothes are neither too heavy nor too light, so they can be worn both to evening parties and weddings. All the designs and colors are sophisticated and elegant to give your personality the class you deserve. 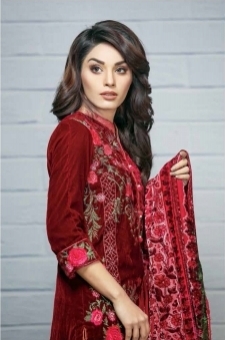 What is more, the prices of all the dresses are shockingly lowered up to 21% off from the original prices so you save a good amount when you buy from the Sanam Saeed collection available at Affordable.pk. Again, keep in mind what suits you. Apart from keeping your color tone, personality, and season in mind, you have to dress according to the occasion. If you are dressing up for a big event, then your dress should be fancy enough. However, if you are planning to go to an evening party with your friends, lighter designs will be perfect, but the color should match the time, season, your personality, and the event theme.